“The entrance to this hotel looks uninspiring. 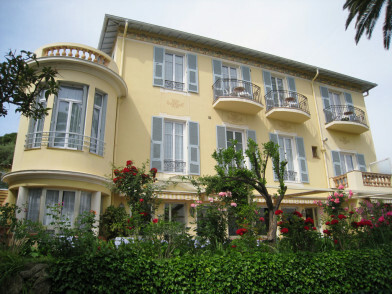 Right on a busy corniche road, albeit with great views over the Baie des Anges, you would never imagine what lies behind. Even inside, the small reception area gives no clue. But once you go up in the elevator you enter a different world. Like stepping through a bookcase, you find an entirely new building set back behind the roadside, one which retains the views while losing the road. 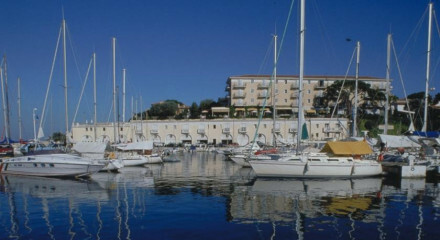 Lovely seafront hotel well placed to explore the city, perched right on a cliff and just steps from the beach. 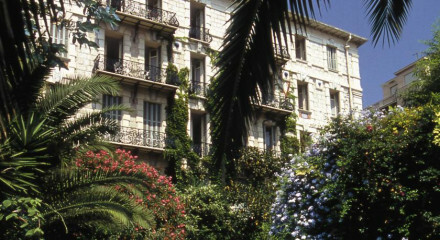 Visit the Chagall Museum designed by the architect André Hermant or the Matisse Museum. Very close to the Marche du Fleurs, a vibrant and colourful way to spend your morning. A relaxed dining atmosphere prevails on the terrace restaurant, sample great food under the dappled shade of lemon trees. Parasailing and boat trips can be organised from the beach. Marvel at the the monastery of Cimiez and beautiful rose garden overlooking the city and Castle Hill. 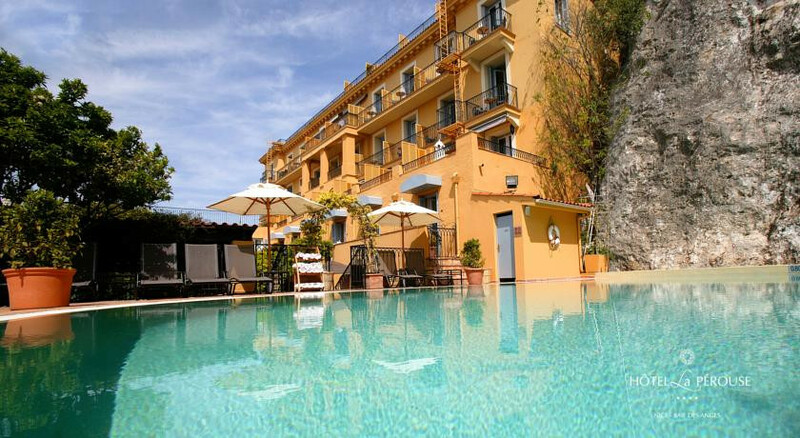 "The seafront Hotel La Perouse has startling sea views, top-class beds and a good restaurant, where guests eat Mediterranean fare under lemon trees."